Turn your next exotic car rental into an unforgettable journey with a luxury SUV. 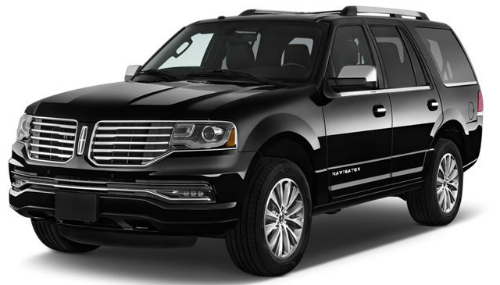 Our Lincoln Navigator rental features effortless performance & a spacious interior. Rent one today from Rent A Vette. Call (888) 308-5995 or reserve online here. Space: Packing gear, luggage, and people all in one vehicle is no problem due to all the additional space an SUV provides. It carries people and stuff more efficiently. Comfort: Your passengers will have the best in comfort with tons of headroom and legroom in the front and back. Safety: Sitting up higher gives you a better view of what’s going on further down the road. Enjoy the safety benefits of a larger vehicle with four wheel drive. Versatility: An SUV is equally reliable whether driving around the city or traversing some of the rocking terrain around Arizona if you decide to off-road. Safety, space, and comfort are a big part of the appeal when renting an SUV. And those traveling with kids definitely understand how critical that is to a memorable and successful road trip. The Lincoln Navigator, ranked in the top 10 Best Luxury Large SUV by U.S. News & World Report, is chalked full of features that make it one of the most fun and comfortable SUVs to drive. 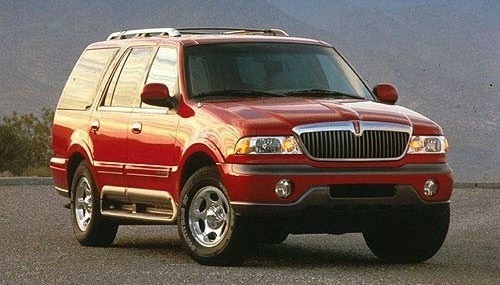 Introduced in 1998, the Lincoln Navigator is the third-generation full-sized SUV from the Lincoln Motor Company. It’s based directly on the Ford Expedition. This plush and quiet ride went through a full redesign in 2015. It seats five people and has one of the largest cargo areas in the class, in addition to giving you a commanding view of the road. 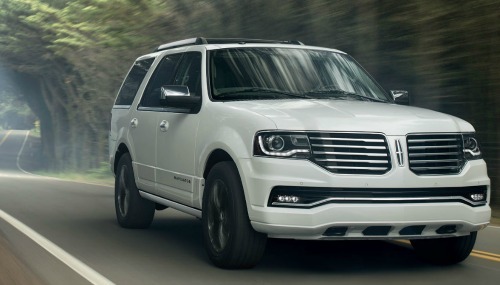 Even though the Navigator shares the same body shell as the Explorer, Lincoln stylists differentiated the two vehicles by giving the Navigator a forward windshield that shares no body panels with its Ford counterpart, as well as its own front fascia, wheels roof rack, lower body trim, and taillights. There is also more use of sound deadening materials and higher-quality carpeting to make the Navigator interior quieter. The Navigator comes fully loaded with XM radio and a GPS navigation system to make your ride as smooth as possible. But one of the greatest benefits of SUVs over other types of vehicles is the extra horsepower. And for drivers who off-road, the extra torque can help pull them up and over hills. This luxury vehicle will truly get you where you want to go. Rent Lincoln Navigator from Arizona’s oldest exotic car rental company – Rent A Vette.